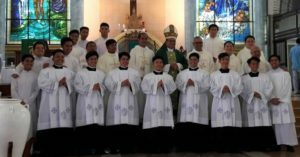 BORONGAN CITY, September 16, 2018 – Seven seminarians of the Nativity of Our Lady College Seminary received the Sacred Cassock and Surplice in a Sunday Eucharistic celebration presided by the Most Rev. 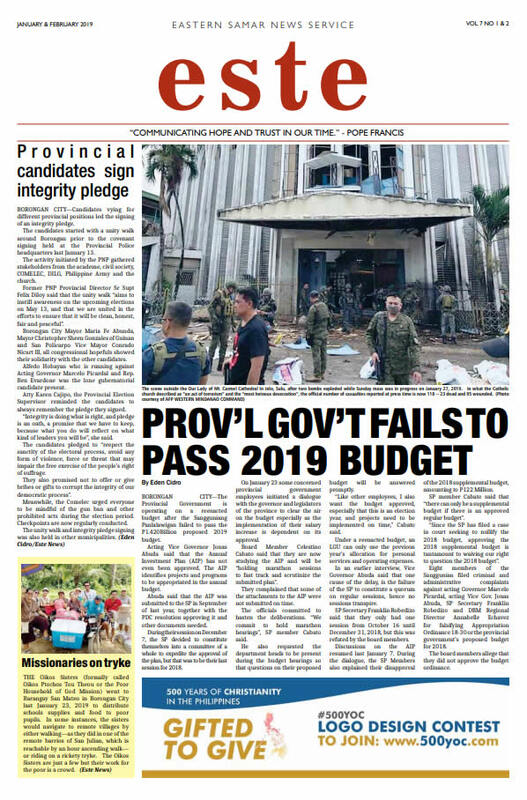 Crispin Varquez, DD at the Borongan Cathedral. 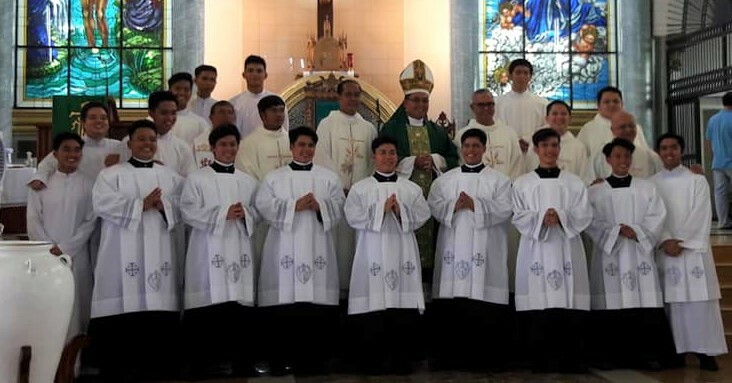 The seminarians who received the priestly garb were: Jade B. Alegre (Borongan), Mark Henrick A. Corado (Borongan), Mark Philip A. Corado (Borongan), Louie Emmanuel B. Gonzales (Guiuan), Nick Ivan G. Paracale (Sulat), Cyril S. Solayao (Borongan), and Ed Bryant V. Tagab (Oras).